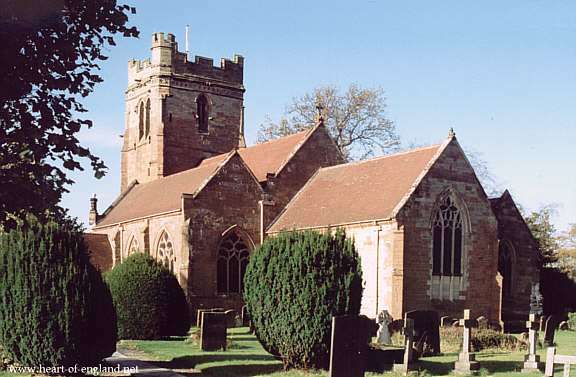 This is St Peter's Church, Dunchurch. Dunchurch was an important staging post on the road from London to the Midlands. It lies at the cross roads between the old London-Birmingham road, and the old Oxford-Leicester road. The inn sign of the Dun Cow Inn, Dunchurch. 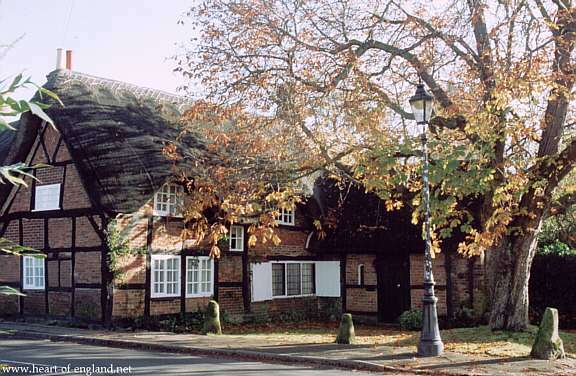 An 18th century coaching inn, the inn had stabling for 40 pairs of horses. 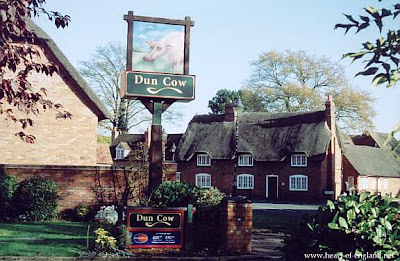 The Dun Cow comes from a medieval romance. It was a monster terrorising local villages. According to the tale, the beast was defeated by the legendary Guy of Warwick. Just across the road from the Dun Cow Inn is the village Smithy. A blacksmith on hand was essential to keep those horses shod. And over the smithy is the Chestnut Tree. The present tree is a replacement for its parent. It is claimed by many English tourism guidebooks that this is the Smithy and Chestnut Tree that inspired Longfellow's poem The Village Blacksmith. 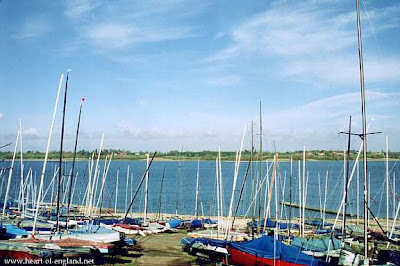 2 miles West of Dunchurch is Draycote Water. Managed by Severn Trent to supply Rugby with water, Draycote Reservoir covers more than 600 acres with a capacity of 5,000 million gallons. 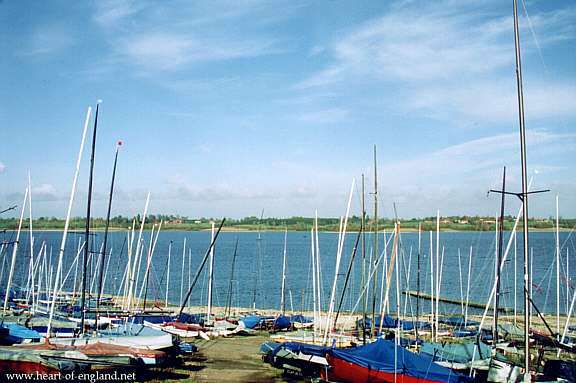 Draycote Water is one of the best locations in the Midlands for winter wildfowl and gulls, and for migrating birds on spring and autumn passage.